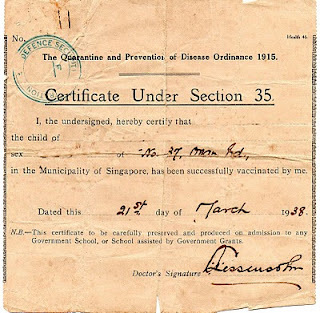 All Singapore citizens here are ducomented from birth to death. 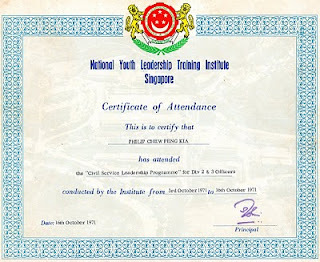 We know that but never give it a thought. 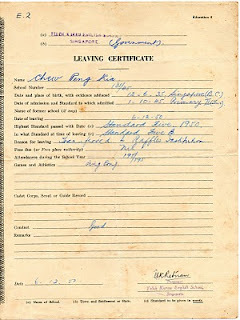 Many of my personal documents can be considered archives. 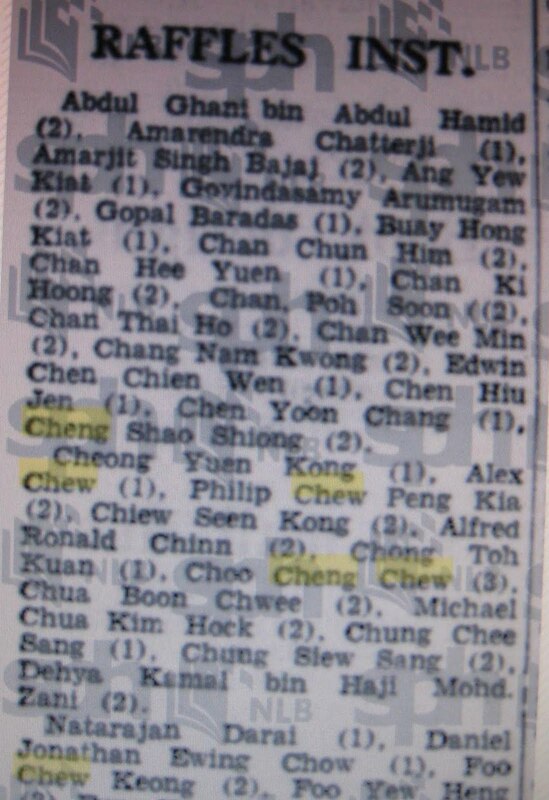 They are shown below. I was born at the Kandang Kerbau Maternity Hospital and my birth was registered there with my name. 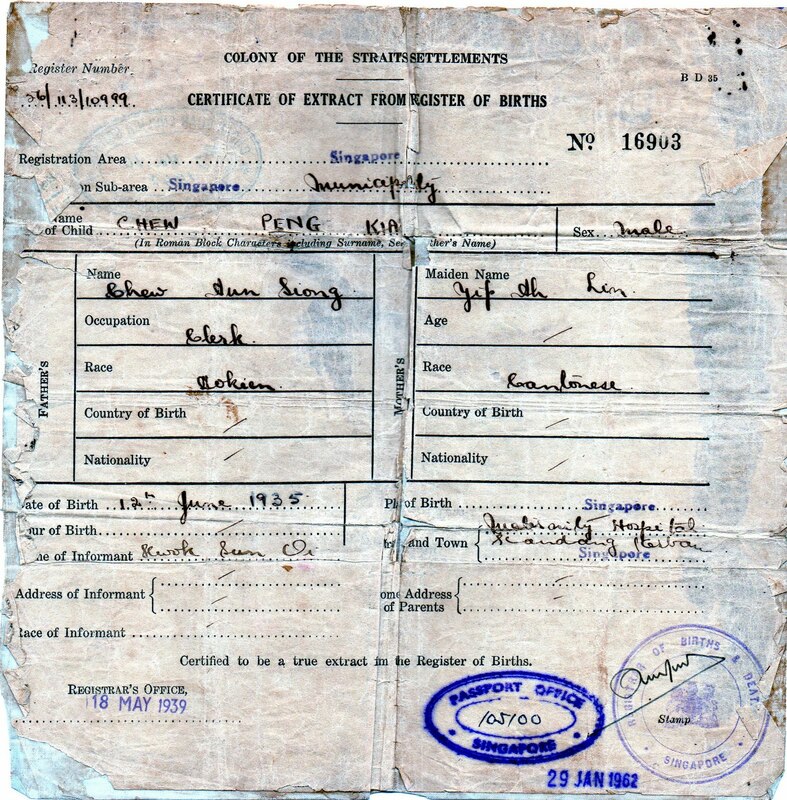 Some parents had not decided on the baby's name upon registration. 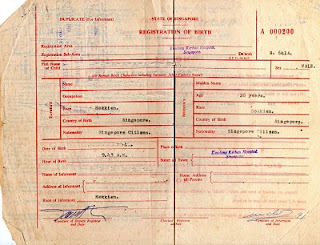 So the baby's name was left blank in the duplicate copy of Registration of Birth. 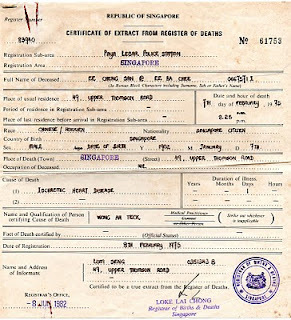 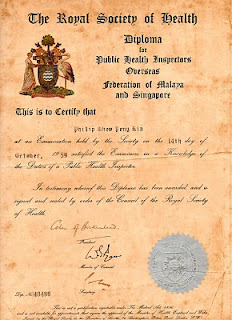 The Registrar of Birth & Death stopped issuing the duplicate copy of Registration of Birth after Singapore's Independence in 1965. 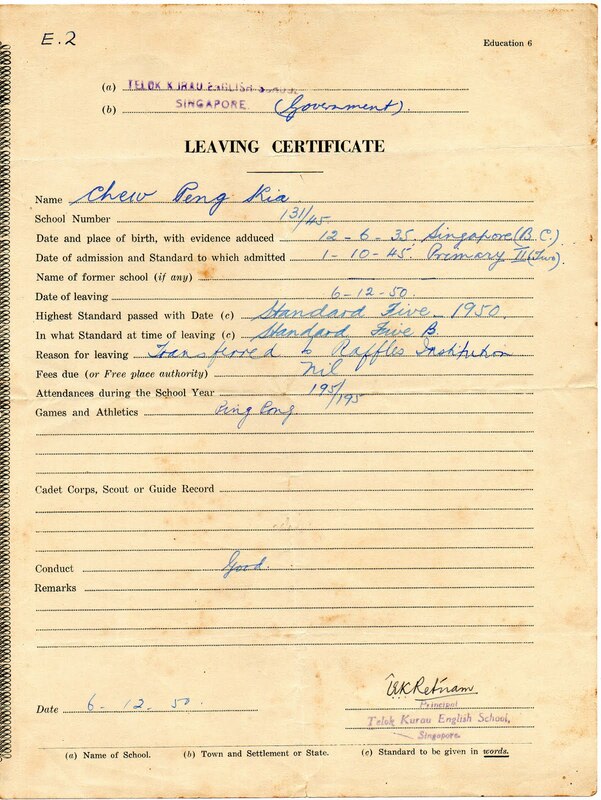 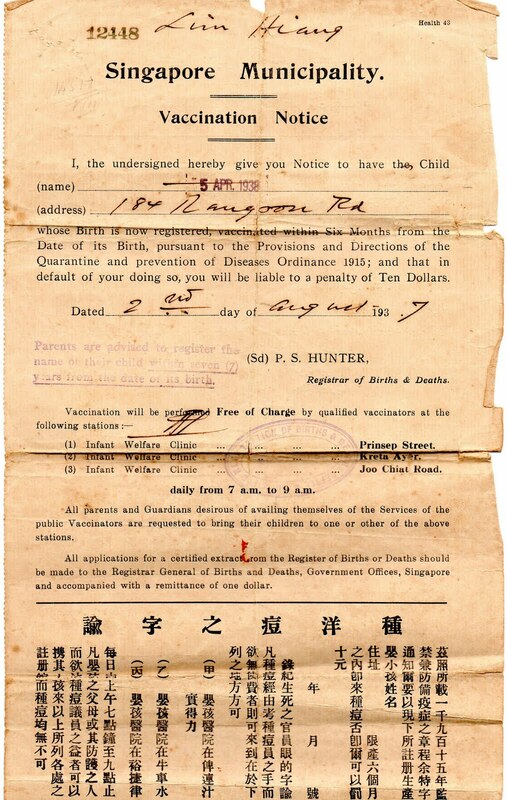 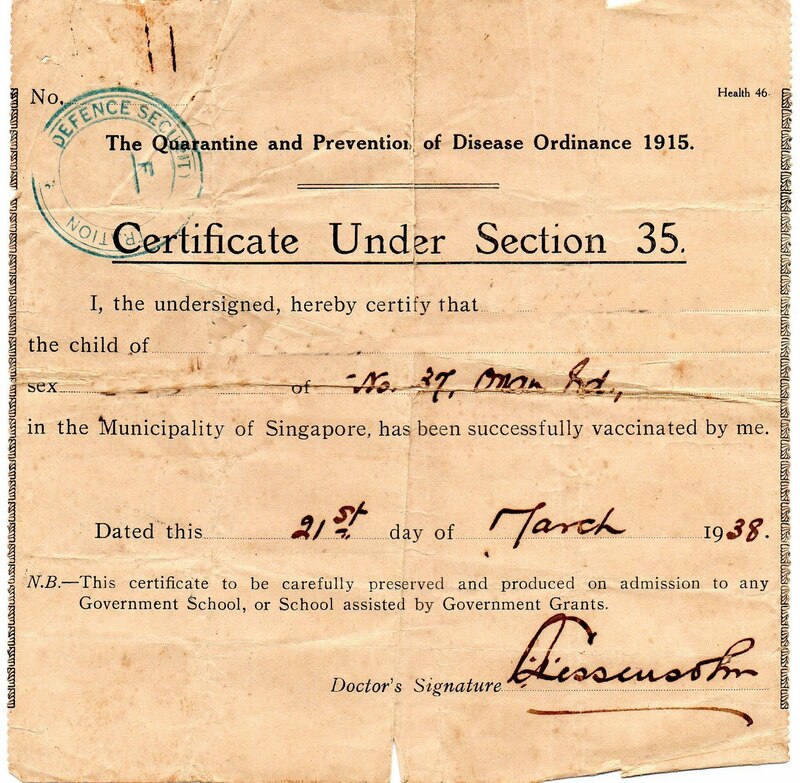 Before WWII and soon after the war, a baby born in Singapore was issued a Vaccination Notice. 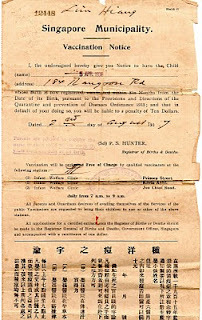 Failure to comply faced a penalty of $10/-. 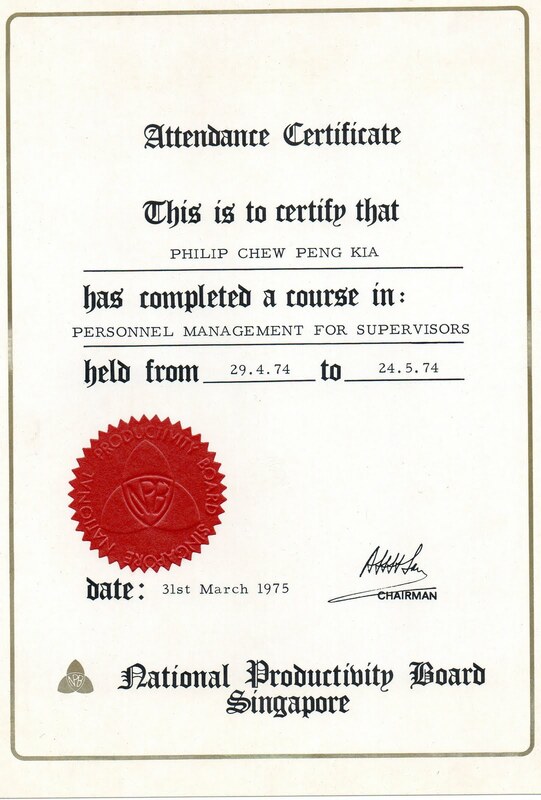 It means a lot of money then. 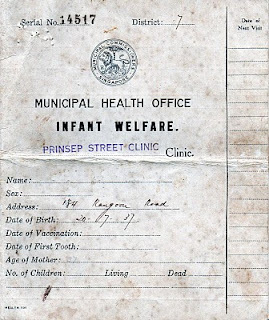 An infant who had been successfully vaccinated was given a certificate. 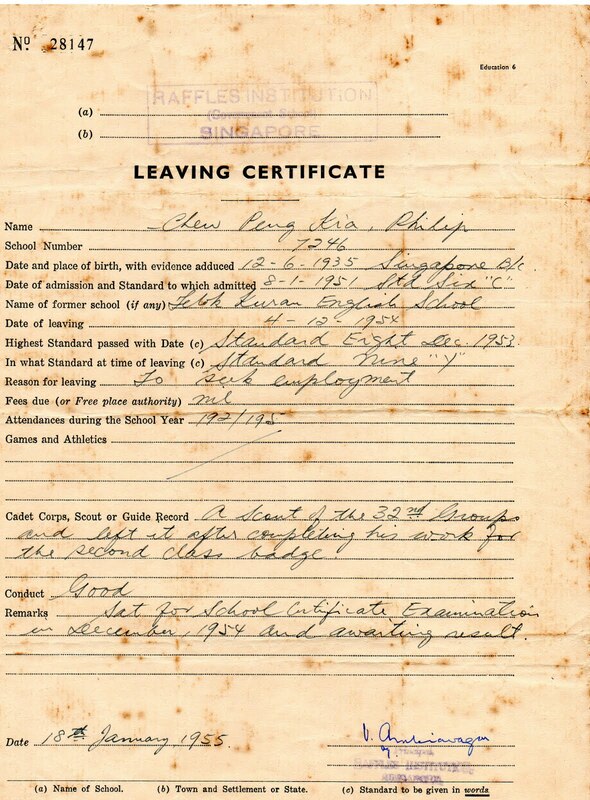 All 3 documents are shown below. 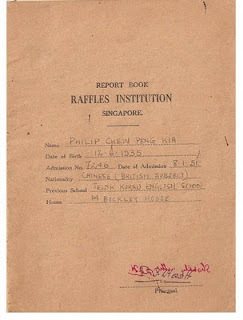 In school I was given a report card. 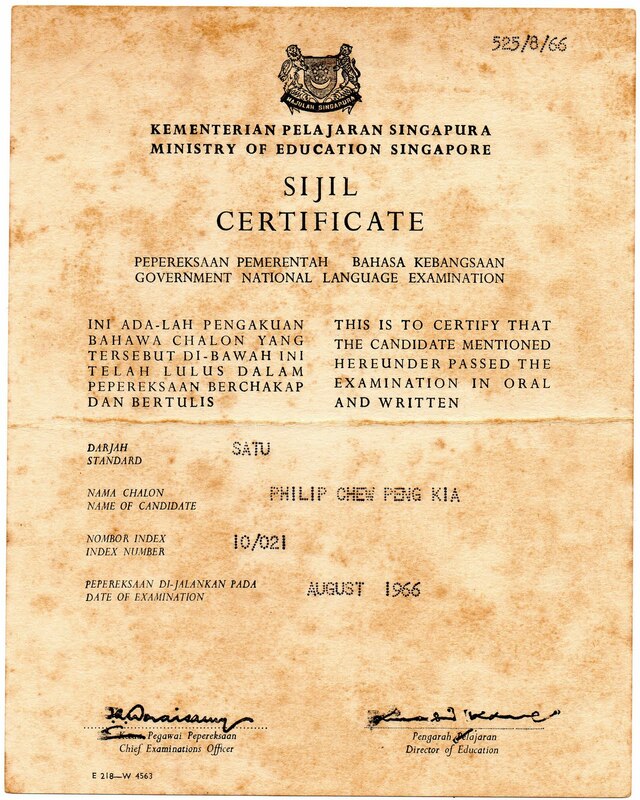 There were 3 terms per year. 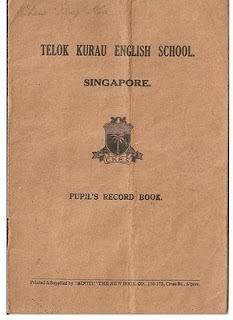 All the school examination results were recorded in it. 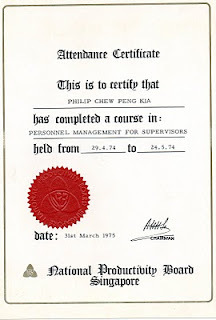 After finishing primary education, I was given a school leaving certificate. 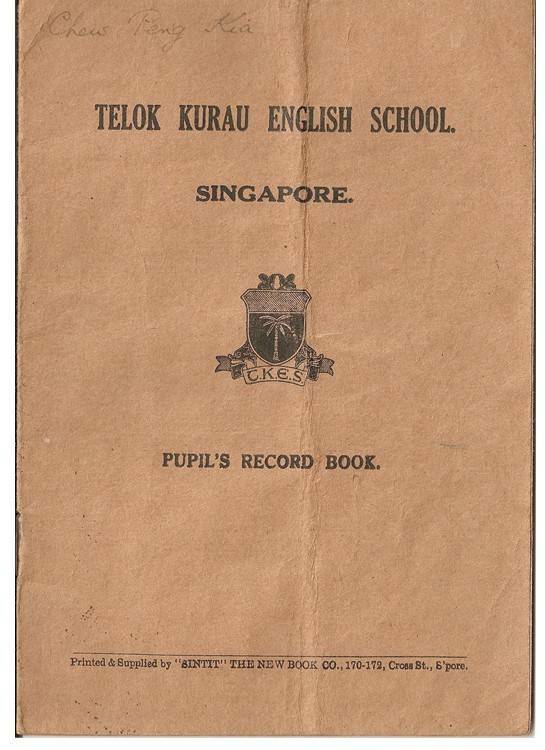 Similarly for secondary school I had a report card and after secondary 4, a school leaving certificate. 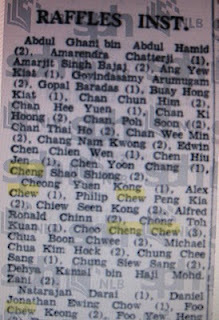 During my time only those who passed the Cambridge Examinations would see their names published in the Straits Times with either Grade 1, 2 or 3 printed besides their names. 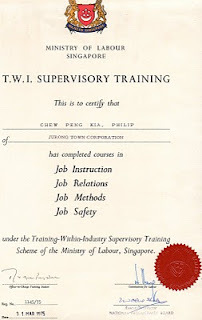 To upgrade myself I took many courses as shown in the above certificates. 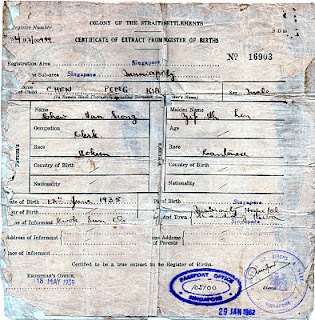 The documents not shown here are my Identity Card, Driving Licence, Marriage Certificate, International Passport, membership cards etc. 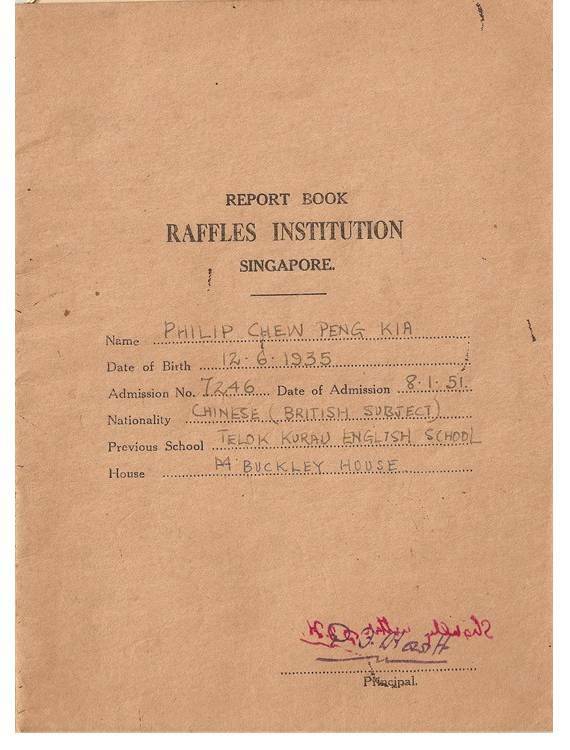 I am sure others have more than what I possess. 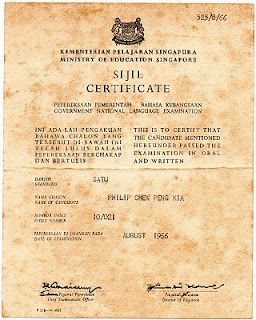 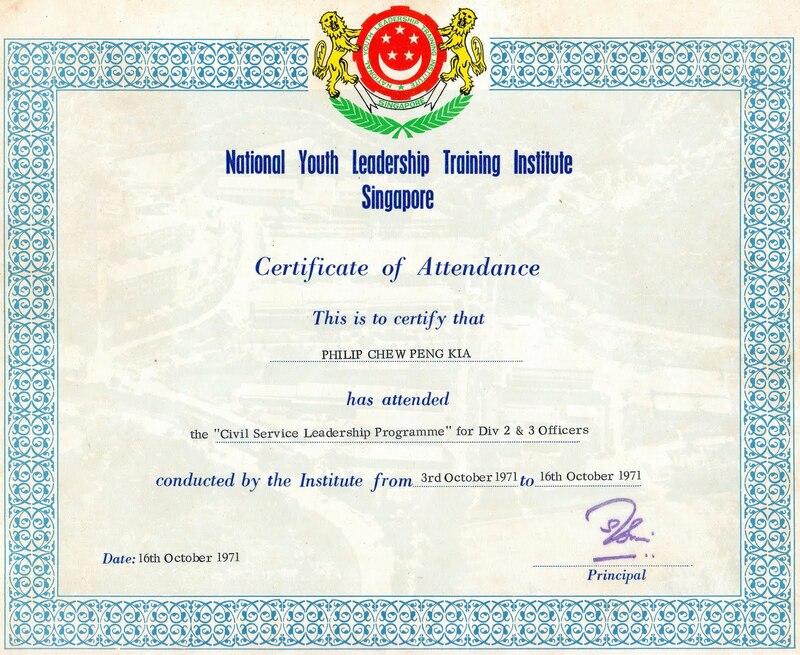 And finally the certificate which I shall not be able to see is similar to the one shown below. 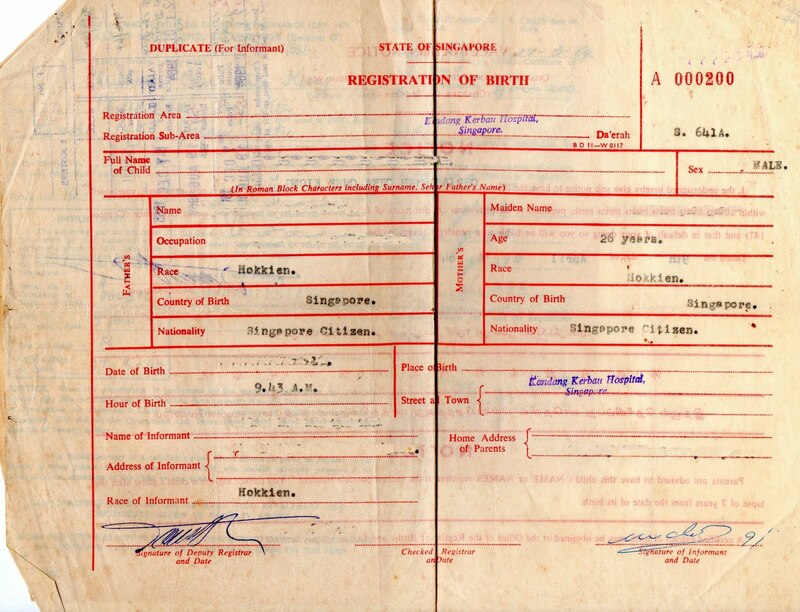 Conclusion: we are documented from the time we are born to say that we have arrived. 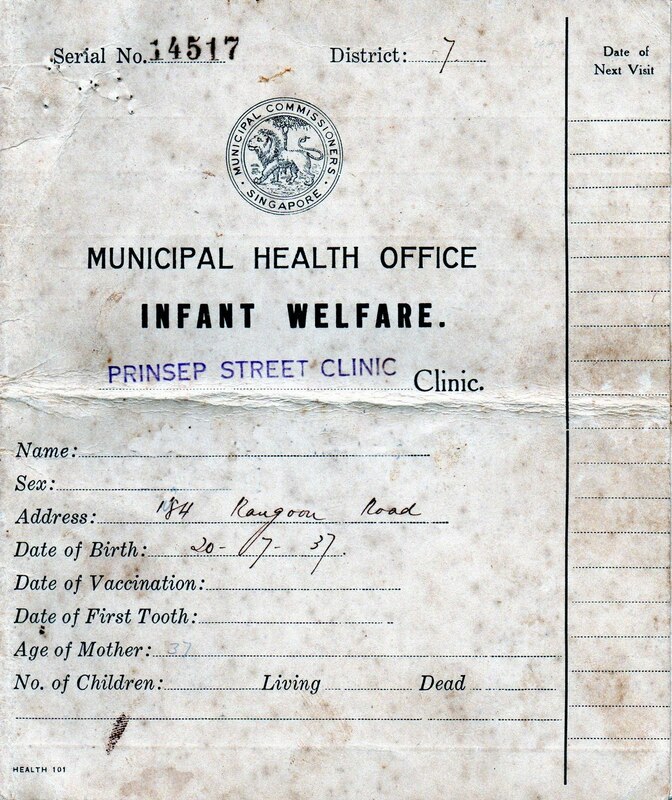 Then, there is the document to say that we have been through the various vaccination and inoculation to give us antibodies and immune system. 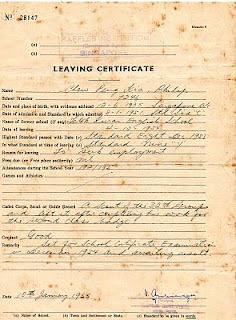 There are also documents to show the level of our faculty to fit us the the jobs. 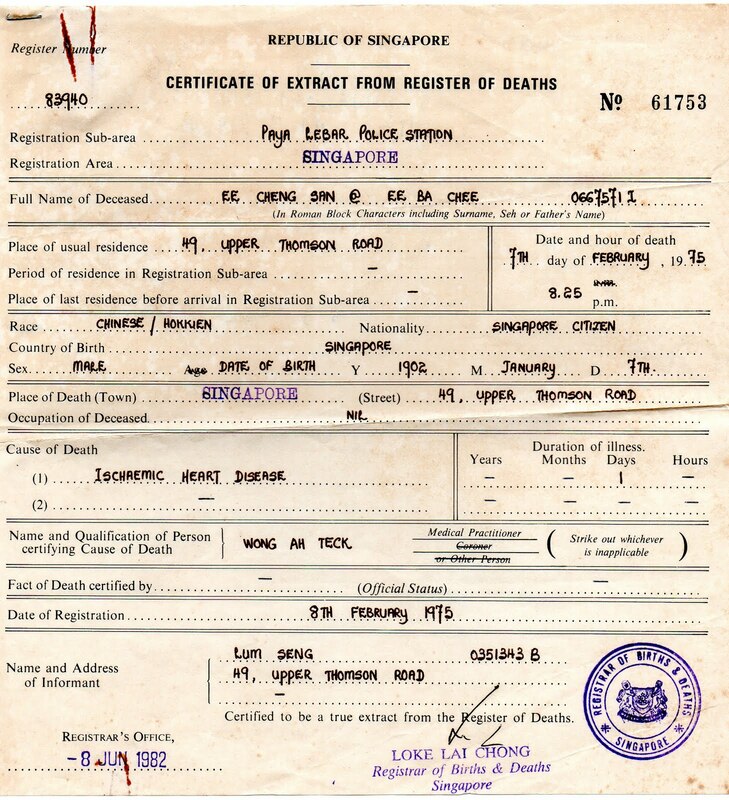 The final document that ends our lives story here is not visible to the living.